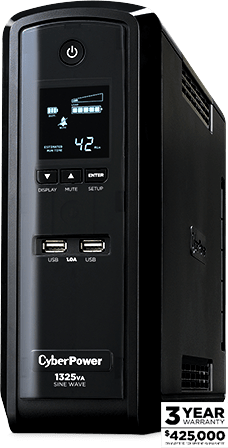 This comprehensive battery backup protects your equipment and your game from harmful power surges, interruptions and outages. Many gaming systems use an energy efficient Active Power Factor Correction (APFC) power supply and may only be compatible with a battery backup that delivers sine wave power output. Adding this battery backup to your gaming setup provides advanced sine wave power to keep you playing when power interruptions occurs. This battery backup includes Automatic Voltage Regulation (AVR) which keeps households power voltages stable. Unstable voltages can cause a system crash, memory lockup and data loss. The AVR technology does this without switching to battery power, saving battery life. Built-in surge protection safeguards connected electronic equipment from voltage surges caused by storms, power grid stress and high voltage equipment use. CyberPower will replace any properly connected equipment if it is ever damaged by an electrical surge, including surges induced by lightning strikes. This battery backup reduces energy costs using patented GreenPower UPS™ Design. This model has achieved ENERGY STAR qualification and meets the program's energy efficiency requirements. The multifunction LCD panel displays real-time information about the status of the battery backup and power conditions. User-friendly PowerPanel® Personal is a free power management software to manage runtimes, setup automatic shutdown, view power events, view current battery status, self-test and more. Ten outlets provide surge and line noise protection. 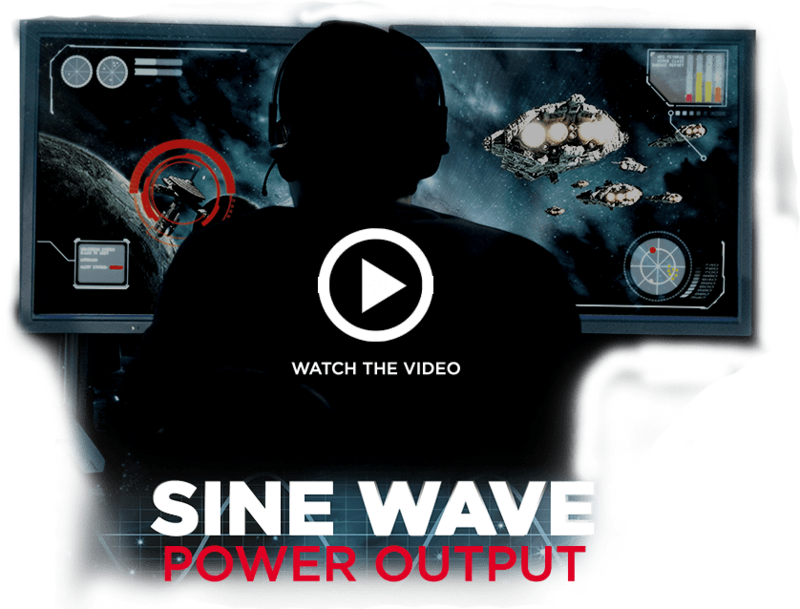 Five of the outlets deliver battery backup power with sine wave output. Two USB ports provide power to charge devices such as game controllers, smartphones and more. Protect equipment and files from damaging surges traveling through unprotected RJ11/RJ45 data lines. Surge and line noise protection for modems, cable and satellite boxes. Use our free PowerPanel® Personal software to manage runtime, track power events and more. 3.9" × 10.4" × 14.2"